Write the letter B on several index cards. Put cards in various places throughout the house. As child finds the cards exclaim, “Wow! You found the letter B!” Point to B and say “B” while asking child to repeat. Continue to search for cards while saying, "B, where are you???" While coloring with crayons inside or chalk outside, write the letter B several times and say “B.” Encourage your child to point to the letter as you say it and repeat the letter name. **Be sure to review A!!! Similar to last week, continue to count pieces of food as your child is eating. This time include 3 in addition to 1 and 2. Play with blocks with your child. Build towers of 3 blocks. Say, “one, two three” as you stack each block. Repeat this a few times. Then start another tower and say, “one.” Hopefully your toddler will have caught on and will continue with “two, three” as you stack the next few blocks! Throughout the day, count objects when you are on a walk, at the playground, in the waiting room of the doctor’s office, at the grocery store, etc. Go into a room without windows. 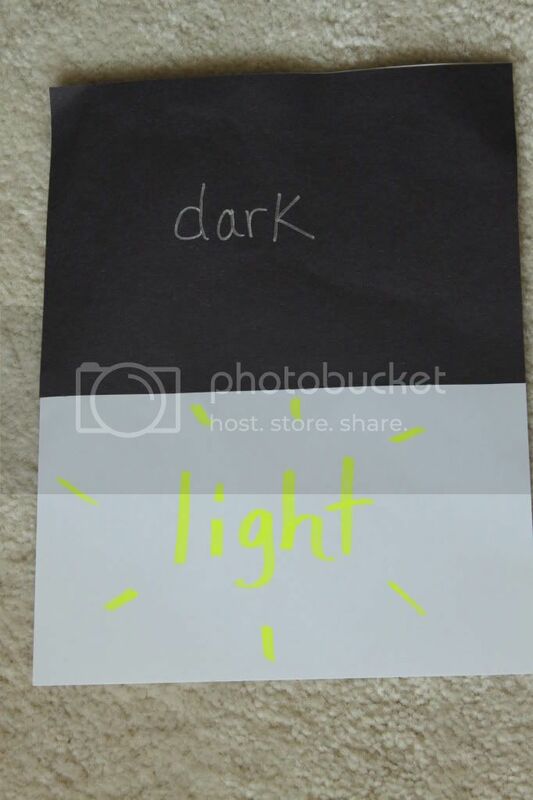 Sit in the dark room and tell your child that it is dark. Turn on the light and say it is light! Repeat several times. Use a flashlight instead of the overhead light as well! Go outside and look at the sky. Have your child point to the sky. Talk about what color it is and if there are any clouds. Emphasize the truth that God made the sky! Touch water and talk about it….wet, clear, cool, etc. Remind your child that God made water! This game will probably be included each week!!! Play “Listen to Mommy and Obey” – Say, “Look at Mommy. Listen to Mommy and obey. RUN! !” Then both of you run. Say, “Listen to Mommy and obey. STOP!” Continue this game by having your child do various tasks such as, crawl, walk backwards, get a certain toy, etc. Print day one coloring page from http://www.coloring.ws/creation.htm and allow your child to color as you remind him/her how God made light and dark. Print day two coloring page from http://www.coloring.ws/creation.htm and allow your child to color as you remind him/her how God made the sky and water. Get two 1/2 sheets of blue construction paper (different shades of blue) and 1 piece of white cardstock. 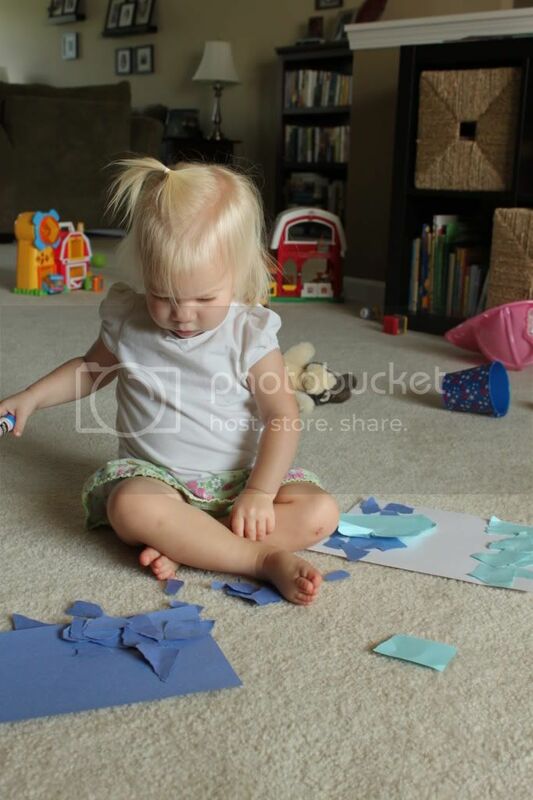 Allow your toddler to tear the blue pages into small pieces. 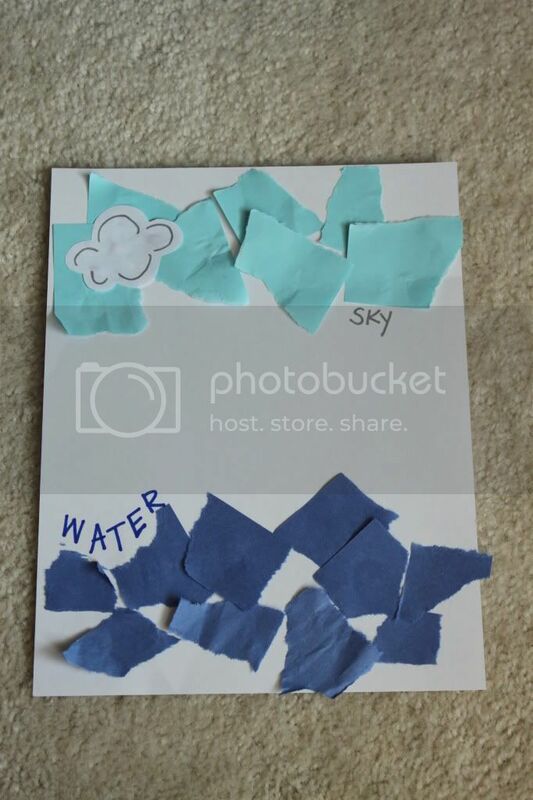 Teach your toddler how to use a glue stick to glue the light blue pieces on the top of the page to represent the sky and the dark blue pieces on the bottom of the page for the water. 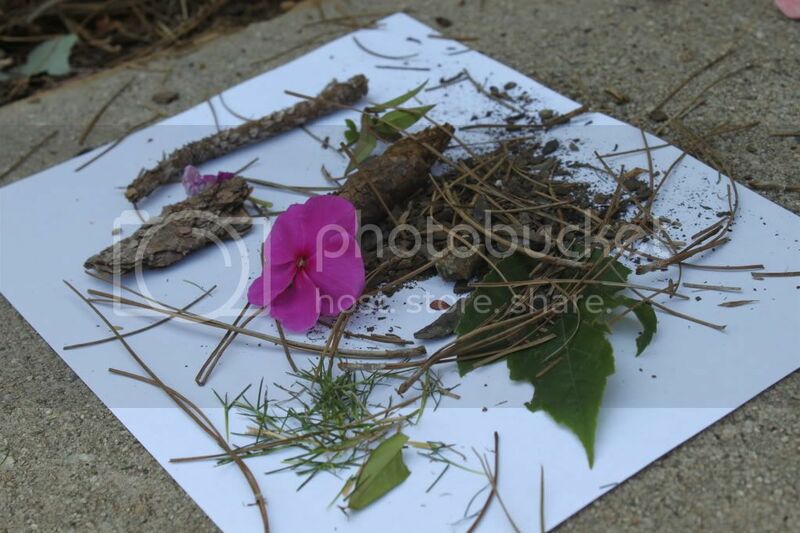 **Begin to tape these pictures in order somewhere your child can look at them regularly. As you review each day, be sure to count each page and remind your toddler about the significance of each. Print day three coloring page from http://www.coloring.ws/creation.htm and allow your child to color as you remind him/her how God made land and plants.